The powerful magnitude 7.8 earthquake that struck Ecuador just over a year ago is now expected to result in an insurance industry loss of $575 million, with reinsurance markets having taken a share. However the overall economic impact to the country had been put at over $4 billion, reflecting the protection gap in Latin America. 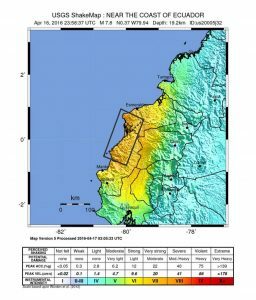 The earthquake struck the north of Ecuador near the town of Muisne in the north, but was felt widely in the capital of Quito and resulted in severe damage to the commercial area of Guayaquil, where buildings collapsed and structures were badly damaged. Reinsurance firm Swiss Re had put the industry loss at $500 million in its most recent sigma report on global catastrophe impacts from 2016, but local industry representatives have now said that they expect the 30 insurers operating in the country will face a payout of $575 million. Almost 40,000 claims are reported to have been filed for the April 2016 earthquake, with over 35,000 now paid totaling somewhere north of $420 million, according to Ecuadorian newspaper El Universo. Reconstruction alone is anticipated to cost around $3.5 billion, but after other costs are added and the loss of revenue suffered by affected regions taken into consideration, the eventual economic loss impact will be in excess of $4 billion. This suggests, based on a $575 million insurance and reinsurance loss, that insurance has covered around 14% of the total impact, leaving an 86% (or likely greater, once all economic damage and disruption is valued and considered) protection gap. Once again, this demonstrates the opportunity to write more premium income in countries such as Ecuador, as penetration and uptake increases. 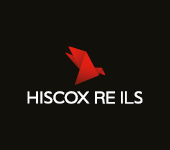 It’s no surprise that global reinsurance firms are targeting such regions, both on a commercial insurance basis and reinsurance, as they see opportunities to deploy more capacity there. The protection is certainly needed and will reduce the need for governments to pay for such large proportions of catastrophe claims. But work will need to be done on ensuring affordability, if uptake is to really increase to the levels required to cover more of the population and their livelihoods. Whether alternative capital providers or any ILS funds had any exposure to the Ecuador quake remains uncertain and if they did it was likely very small given the size of the loss.